TONIGHT!! Sunday Night at Boom! 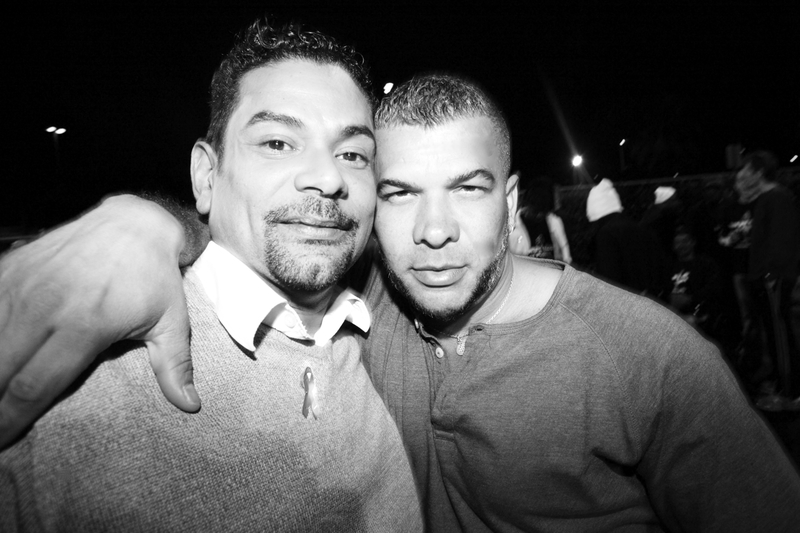 Join up with Bob, Alfonso, and whoever shows up tonight at Boom from 9 pm – 11 pm. Live it up as if its still the Eighties. Shake your booty & have some fun. Its Cheap! No Cover! So get out and dance! This Wednesday, 12-15-2010, we’re having a guest speaker; Sonia Diaz, Manager, Sales and Community Outreach for AHF MCO of Florida, Inc. d/b/a Positive Healthcare Partners HMO (Medicare) and Positive Healthcare Florida (Medicaid). 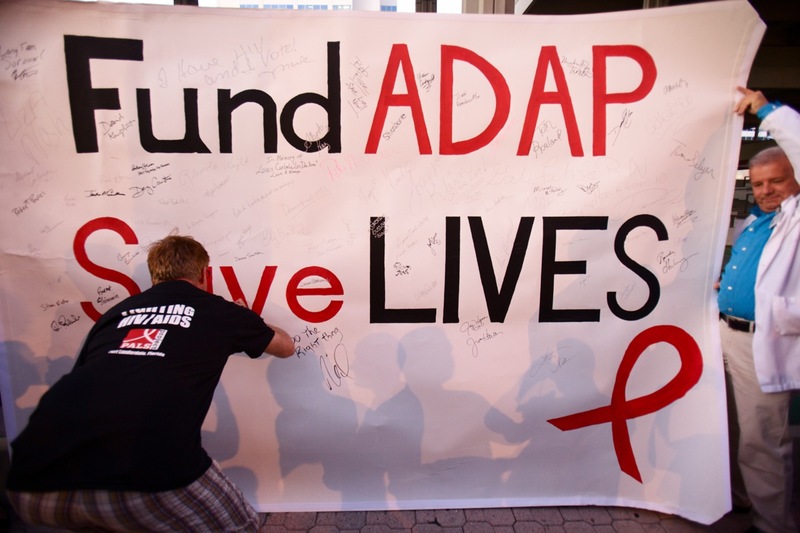 Under the umbrella of the AIDS Healthcare Foundation are various lines of business: Pharmacy, Health Plan, Out-of-The Closet, Healthcare Centers and Public Health. Sonia represents the health plans, Positive Healthcare Partners and Positive Healthcare Florida and a description of each plan is found below. 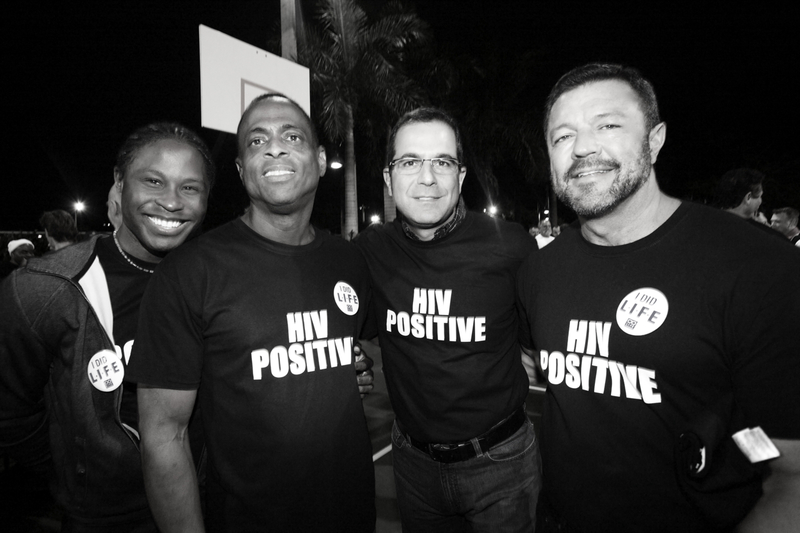 What makes us unique is that we have health plans designed specifically for people living with HIV/AIDS with operations in Miami-Dade and Broward Counties. Sonia will be presenting on the health plans that we have as well as a HMO and Medicare 101. 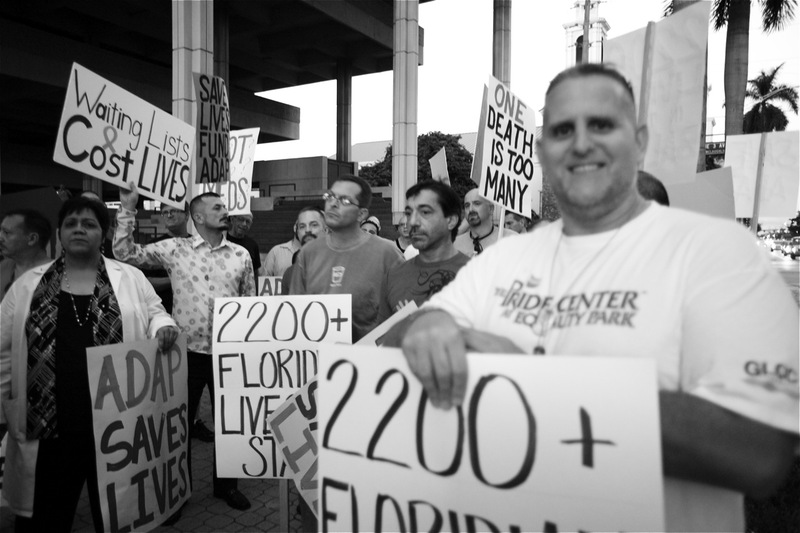 Positive Healthcare™ Partners (HMO SNP) is AIDS Healthcare Foundation’s Medicare Advantage Part D Managed Care Plan, designed specifically for Medicare beneficiaries diagnosed with HIV, living in Miami-Dade or Broward Counties. Positive Healthcare™ Partners (HMO SNP) is considered a “Special Needs Plan” by Medicare and is approved for operation in the Medicare designated service area of Miami-Dade and Broward Counties. Positive Healthcare™ Partners has created a Medicare Part D formulary of drugs designed to most effectively treat its members living with HIV/AIDS. 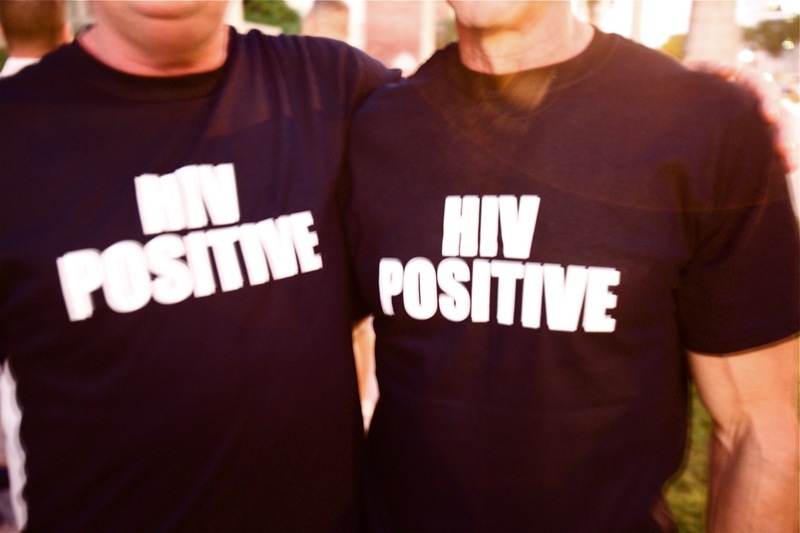 All Positive Healthcare™ Partners Primary Care Providers have extensive experience in treating HIV and each of them is involved in the care of at least twenty (20) and usually many more clients living with HIV. Positive Healthcare Florida is a Medicaid Reform health plan. 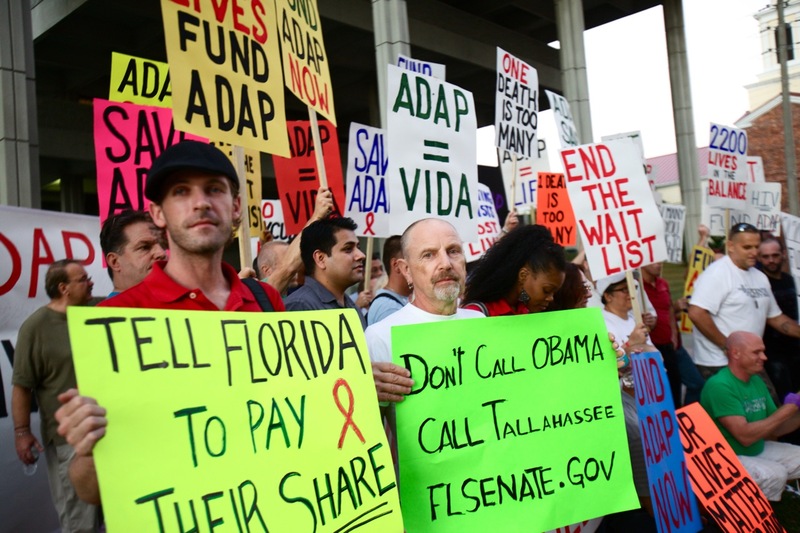 The plan is for HIV-positive Medicaid recipients who live in Broward County. “What a glorious sight when I arrived at Hagen Park. They were a hit. I got several inquiries as to where we got them and what PALS and LIFE were about. “YES…It was an amazing evening. It was so great to see so many of our fellow LIFEers together wearing the shirts. For me, it was our Graduation! I’m so glad we were all able to share it together. 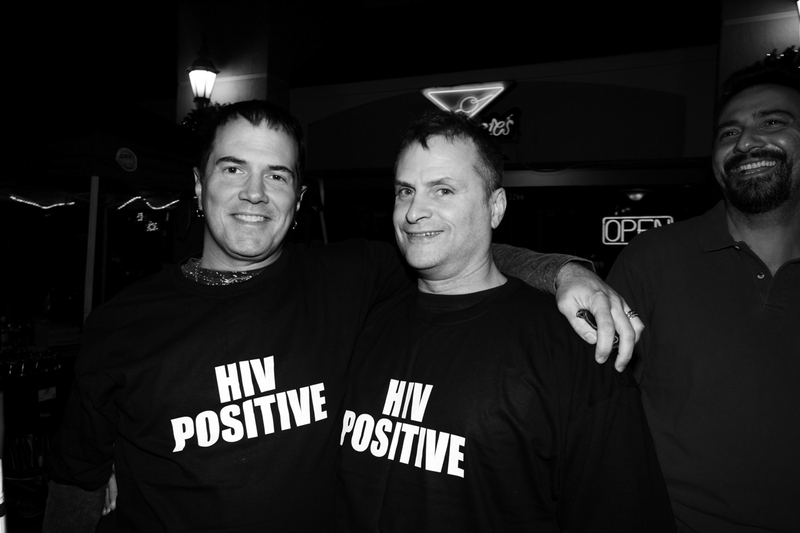 – Photos by Bob R.
At this morning’s World AIDS Day Ceremonies, The Community Foundation of Broward Awarded its Footsteps in the Sand LEADERSHIP Award to POZitive Attitudes Group Facilitator Steve Stagon. 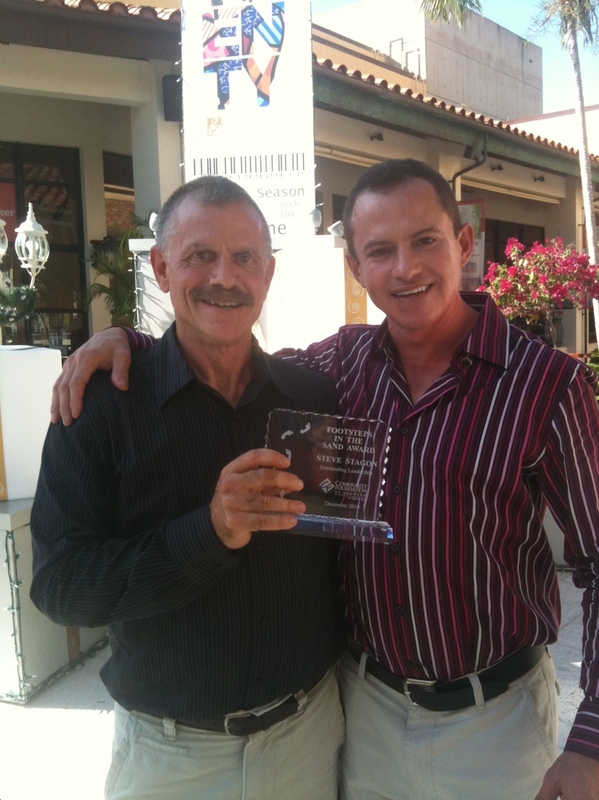 The award was presented by Sheri Brown who recognized Steve’s four years of leadership in support of the HIV/AIDS Community and his overall leadership of the POZitive Attitudes Group. She also noted that Steve is always there in support of the community as well as helping individuals with HIV/AIDS. The Community Foundation of Broward also recognized Anthony Johnson with its Footsteps in the Sand Award for VOLUNTEERISM. “This is a great honor. 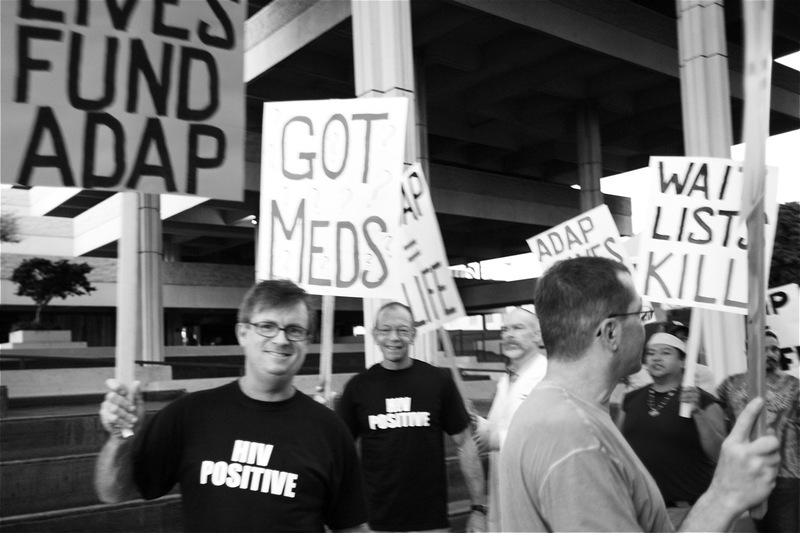 Not just for me, but for my HIV support group Pozitive Attitudes, what we’re trying to do and the men who attend and have made my life 100 times richer. Anthony Perkins, who played Norman Bates in the movie Psycho and died of AIDS in 1992 said; ‘I have learned much more about love, selflessness and human understanding from the people I have met in this great adventure in the world of AIDS than I ever did in the cutthroat competitive world in which I spent my life.’ That’s how I feel. 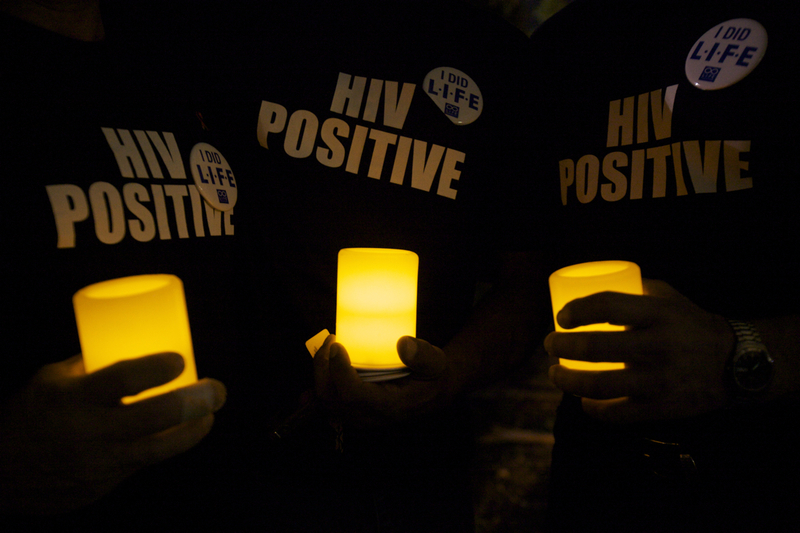 I wish HIV/AIDS on no one and I urge every negative person to do all they can to stay negative. 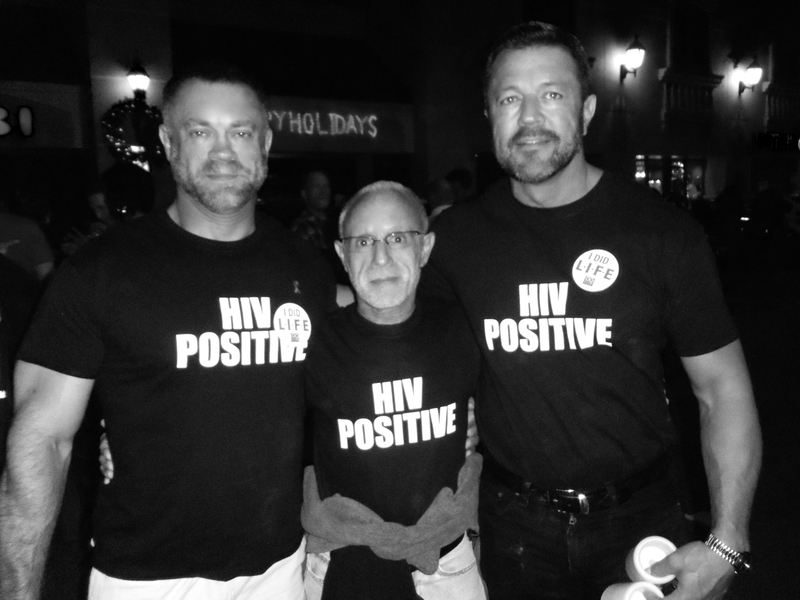 But for those of us who are positive, I tell you your life is not over, come out of your HIV closet and contribute to your community. The world needs you and you need the world. 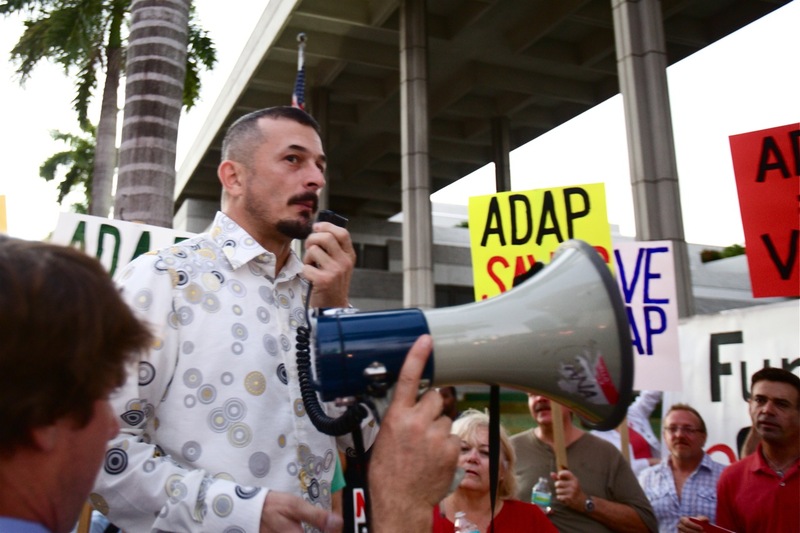 “I was very proud of the group turnout at the ADAP Rally. We were well represented. It may seem minimal, but it is a first step for us to re-engage in activism and it takes a lot of courage for people to show up. 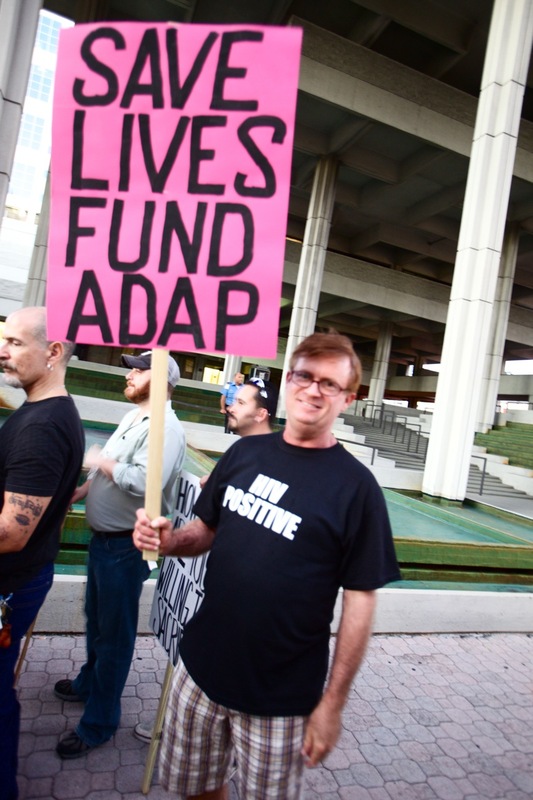 With all the times we have talked about disclosure and stigma, it was great to see so many of us at a busy intersection supporting the need for ADAP funding, many wearing HIV Positive T-shirts. Please join us as we try to end this crisis.